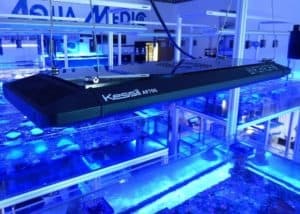 Kessil AP700 Review: Ultimate Light For Your Reef Tank? If you look into the wide choice of available aquarium LED lights, you will discover a multitude of models in different price ranges. The cheapest models offer basic capabilities with more or less good quality lighting while the most expensive LED lights deliver a gamut of various functions. But are those pricey models the ones you should go for? Today, we are going to examine one of those expensive (though certainly far from the most expensive) LED lights on our Kessil AP700 review. AP700 is a quite remarkable model with no less remarkable price tag. But is it worth buying? Let’s find out! Should You Buy Kessil AP700? AP700 features an immensely wide color spectrum. You could choose virtually any light color to illuminate your aquarium’s interior with. Additionally, the advanced LED array allows for seamless mixing of different wavelengths to uniformly light up the aquarium. You could even adjust each of the color channels within a spectral range to get the required color. Most importantly, AP700 delivers consistent illumination across the whole color spectrum. Another great effect offered by AP700 is the shimmer, which attaches a natural, sunlit, and ocean-like look to the aquarium. AP700 also allows you to set light cycles to emulate natural environment as closely as possible. Lastly, you could even choose to color the corals with precision UV lights! The so-called hybrid optics are designed to imitate the effect of a Metal Halide T5 Combo. The specially crafted combination of lens and reflector ensures better coverage and great penetration, minimizing hot spots and eliminating shading. The already-mentioned hybrid optics is paired with the last generation of Dense Matrix LED arrays, which allows for up to 48 inches of coverage. In terms of numbers, AP700 ensures 48 x 24 inches of coverage in mixed reef if hanging 15-18 inches above the surface, as well as 36 x 24 inches in an SPS-dominant reef if hanging 5-7 inches above water surface. Apart from the hybrid optics, the Patented Dense Matrix LEDTM technology allows for the combination of several LED chips into a single unit. This makes for better and deeper penetration with no coverage loss. If you get an AP700 without any optical add-ons, you will get roughly 24-30 inches of penetration. Pairing several units together or using optical accessories can increase the penetration. AP700 can be controlled from mobile devices such as Android and IOS smartphones and tablets. A little while back, only IOS tablets have been supported by the manufacturer. However, the mobile app is now available for any kind of Android and IOS device. With the mobile app, you will be able to control the color spectrum, light cycles, created different setting groups, and much more from your tablet or smartphone. The wide choice of color and illumination settings AP700 provides is exceptionally important for coral populations such as LPS and SPS corals. The adjustability offered by AP700 is important because different coral species have varying illumination requirements. By fine-tuning AP700, you will be able to provide your corals with the precise conditions they require for growth. Works great with coral aquariums. Shimmering effect to animate the aquarium’s interior. 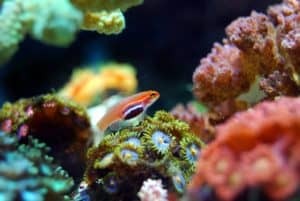 Make corals pop with good coloration. Can be enhanced with additional optics. The app is buggy and not up to the mark. 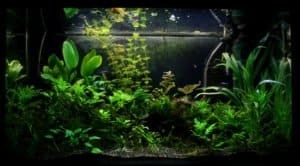 The first question you will need to be asking yourself is “can I afford to spend $700-800 on an aquarium LED light?” If you can, the second question would be “do I need all the features of AP700?” AP700 has quite a good set of features for its price, but should you really consider spending money on it? AP700 has such features as attaching more realistic looks to the aquarium thanks to the wide range of color and effect options. If you really want to make your fish tank look more natural, AP700 might be a good choice for you. AP700 is specially designed for reef tanks, meaning that it will be working extremely well with corals. If you have been having issues with the development of aquarium corals, this LED light could be the best pick. On the other hand, if you have a FOWLR (fish only with live rock) aquarium, you don’t need such an expensive light. But is AP700 a must-have? The answer isn’t very clear to us. We can’t say that it has mind-boggling features that can’t be found in other, possibly cheaper aquarium LED lights. On the other hand, Kessil AP700 delivers seamless performance, which not all of the cheaper models can do. Surely, AP700 is worth its money, but it’s up to you to decide whether or not you want to spend money on it. Tired of reading all those features? Let us help you to visualize this interesting piece of technology with a video review of Kessil AP700! On Kessil AP700 review, we examined a quite spectacular model. AP700 might be not the most functional LED light you could get for the money, but it has a couple of remarkable features nonetheless. 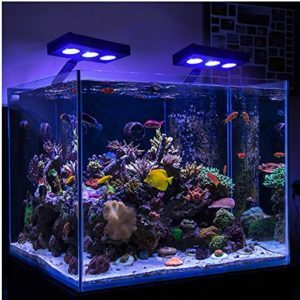 In fact we have listed it in our top 10 best LED reef lights. On the other hand, you might be able to find cheaper models with similar capabilities. But keep in mind that AP700 offers you consistent performance! For its money, that’s a thing that you would expect the most. So if you are ready to pay the price for Kessil AP700, you won’t be disappointed! again kessil is the brand i love. they cost a fortune but the end result is stunning. 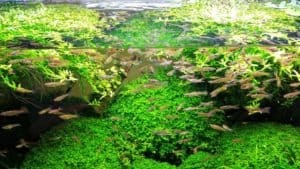 be it a coral reef or freshwater planted tank. you can always depend upon kessil! 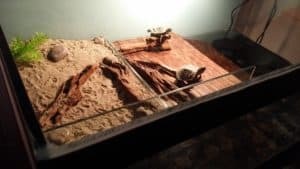 What is the claim “not enough par for all kinds of SPS” based on? No par readings here, plus it’s very dependant on tank size, mounting height, and coral placement.